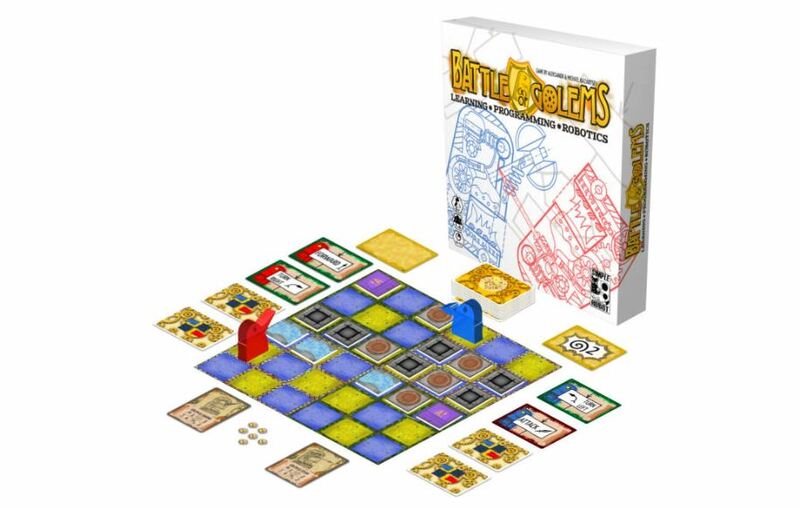 Battle of Golems is a new crowd-funded programming game recently started on Indiegogo (and previously published in Russia) from young family publisher SIMPLEROBOT. Aiming for a younger audience of 6+, Battle of Golems uses programming and robotics concepts to direct clay robots - Golems - with the different features and weapons in battle on a cells board. Cards dictate programme for it such as loops, subroutines, and conditionals while representing them in traditional flowchart form. 2-4 players (or 1 with Bots) do battle in 10 rounds while adhering to the structure and unique obstacles of a chosen level from the scenario book. The game not only educational but also fast and fun strategic battle for adult and kids. Battle of Golems is expected to deliver in March 2018. See all the details, read the rules, and check out the Print and Play on the Indiegogo page.